Frontier’s DOT certified drivers provide clean, well maintained open top roll-off containers for commercial and residential projects. Whether you need a temporary or permanent solution, our experienced team can create a reliable service plan that best fits your schedule and need. Frontier offers a variety of 10, 20, 30, and 40-yard open top containers for construction, remodeling, and landscaping projects large and small. Contact our experienced representatives today for help selecting the best solution for you! 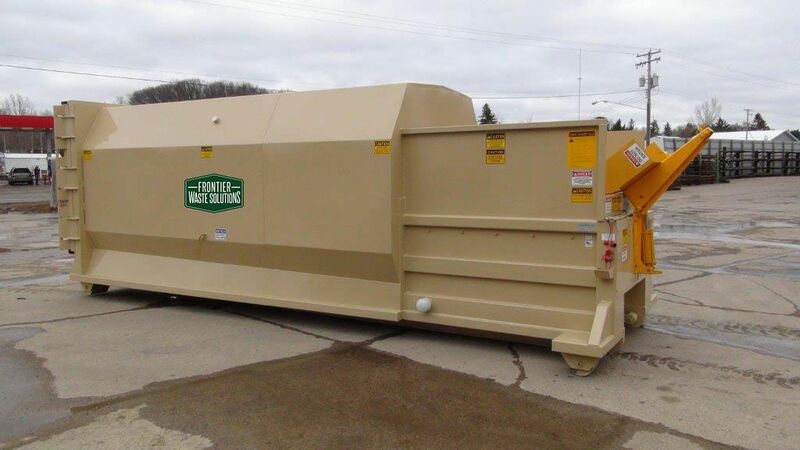 Compactors are a convenient option for customers with high volume, low density waste. 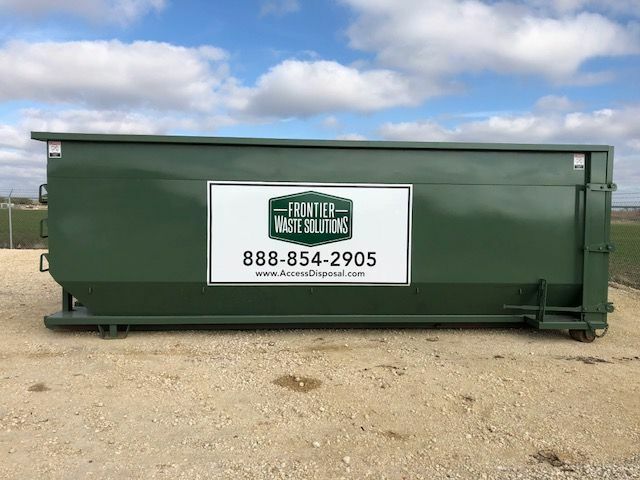 Use of an on-site compactor maximizes waste capacity and minimizes pick-up frequency, thus reducing the associated costs of pick-up service. Frontier offers a variety of compactor sizes and styles. Contact our team today to discuss your specific requirements.